(JTA) — A kosher sushi restaurant has opened in Moscow. The news site Jewish.ru reported Tuesday on the opening of Kosher Pirate by the Kosher Gourmet supermarket. Located halfway between the Marina Roscha Synagogue and the nearby Jewish Museum and Tolerance Center in northern Moscow, Kosher Pirate offers more than 100 kinds of sushi rolls, including shakshuka fusion, which melds Japanese and Middle Eastern cuisine. Another specialty is sushi with a caviar imitation, combining traditional Russian and Japanese foods. 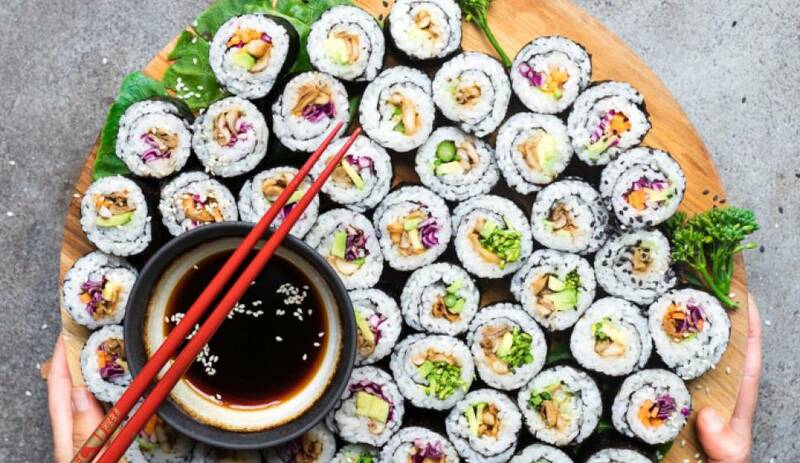 Sushi arguably is the favorite fast food for Russian city dwellers who can afford it, with hundreds if not thousands of restaurants selling the rice-based rolls in Moscow alone. Accordingly, many of the country’s dozens of kosher restaurants have been offering sushi on their menus for years, including the L’Chaim restaurant in St. Petersburg and Jaffa in Moscow. But the opening of a dedicated Japanese restaurant serving sushi almost exclusively is a new development in the capital city and possibly in all of Russia. Kosher Pirate also does offer four non-Japanese dishes: pizza, Solyanka soup, Caesar salad and Uzbekistani dumplings. Many of its sushi items are named after Israeli places, including cities with many Russian-speaking immigrants such as Ashdod, Kiryat Yam, Netanya, Eilat and Haifa. A tuna-avocado roll weighing approximately half a pound costs under $4.50 at Kosher Pirate. The restaurant also does deliveries in the Moscow area. Kosher supervision is under the Kosher Russia label overseen by Russian Chief Rabbi Berel Lazar.